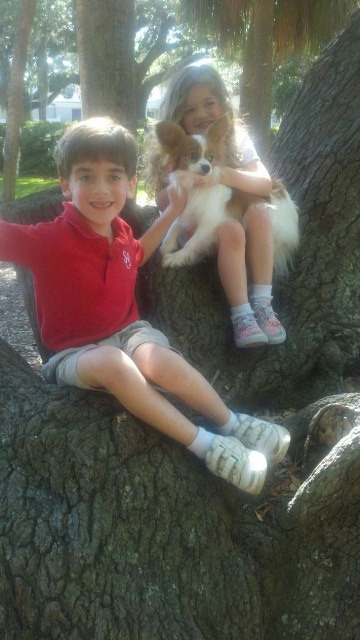 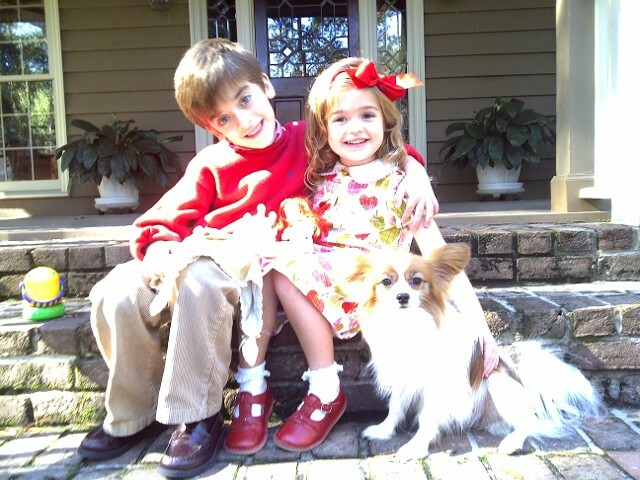 (Buddy x Willow) Coco was born on July 11, 2003. 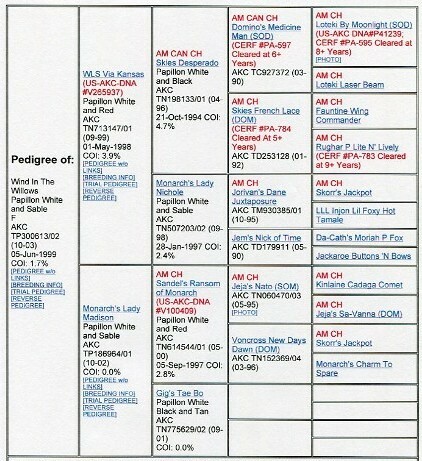 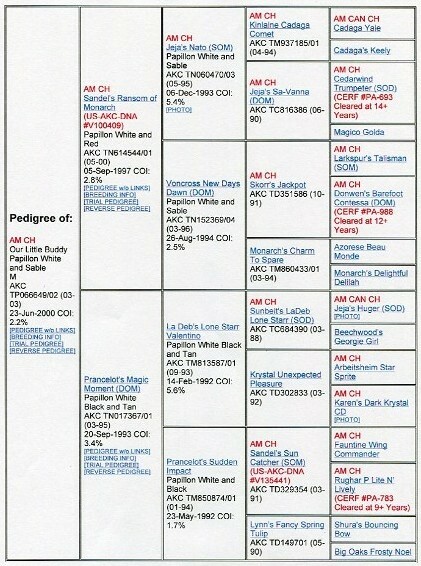 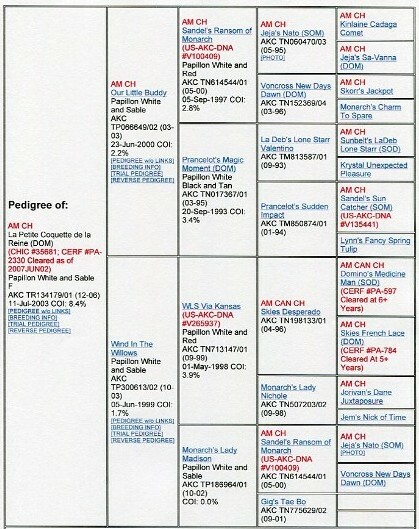 Click for pedigrees. 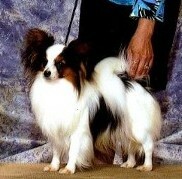 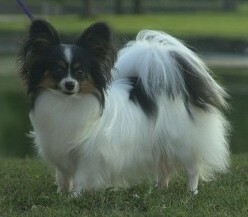 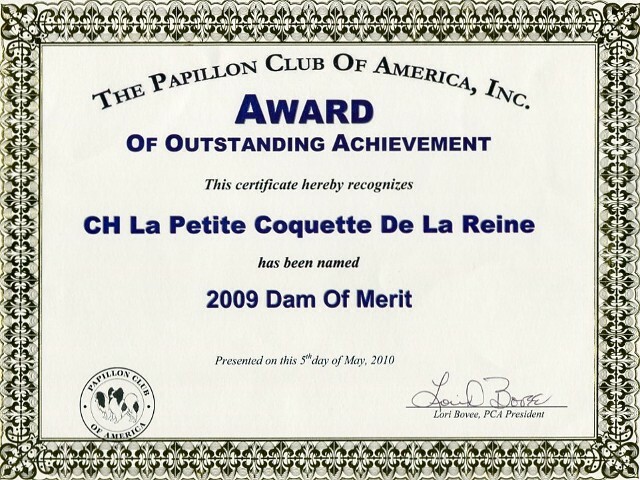 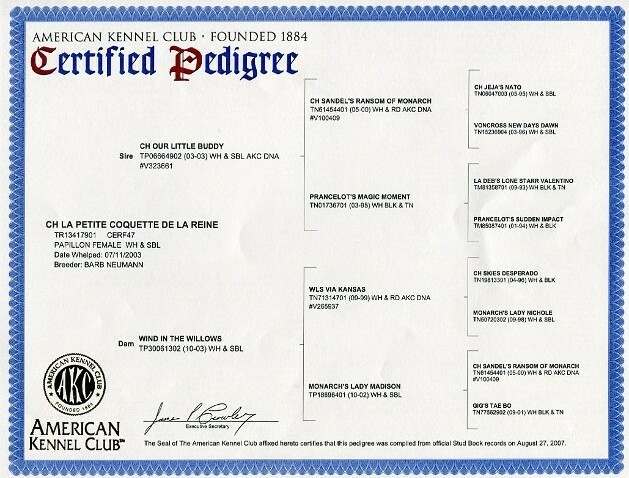 AM CH La Petite Coquette de la Reine DOM, "Coco,"
exceeding the requirements for this designation. 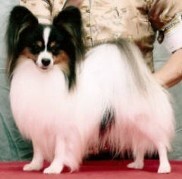 and one AKC agility titleholder, Suki. 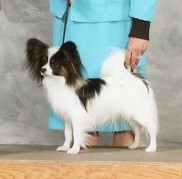 for a total of five AKC conformation champions. 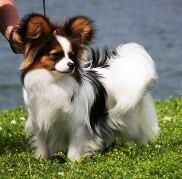 and best friend of our grandchildren. 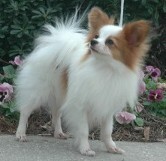 Coco wins her first point! 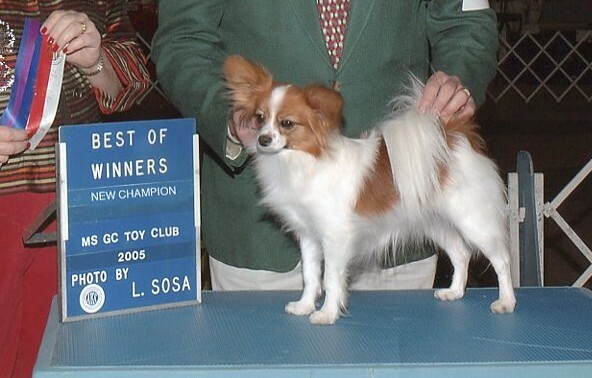 on Friday, December 10, 2004, under AKC judge Dr. Harry Smith. 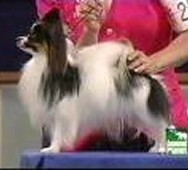 Coco wins her second point! 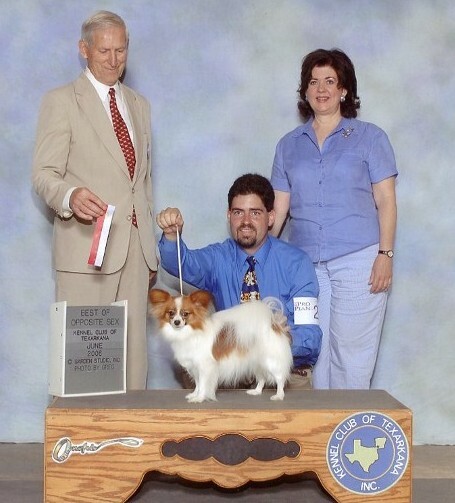 on Sunday, December 12, 2004, under AKC judge Mr. Stein. 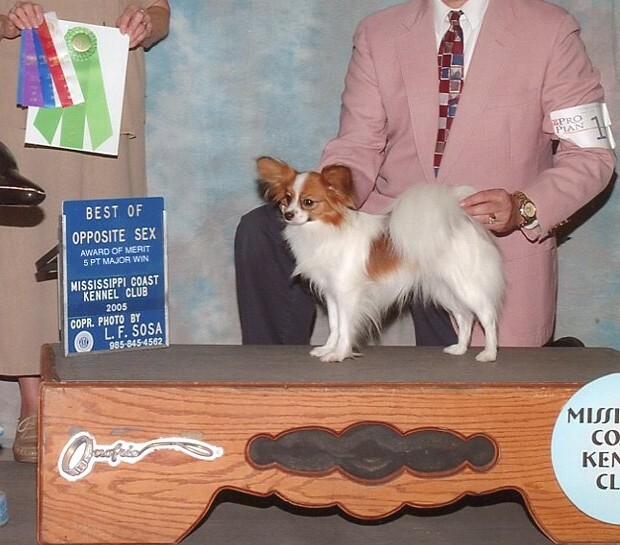 Coco wins her first major! 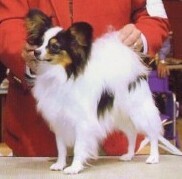 Kennel Club on Saturday, January 22, 2005, under AKC judge Mr. Charles E. Trotter. 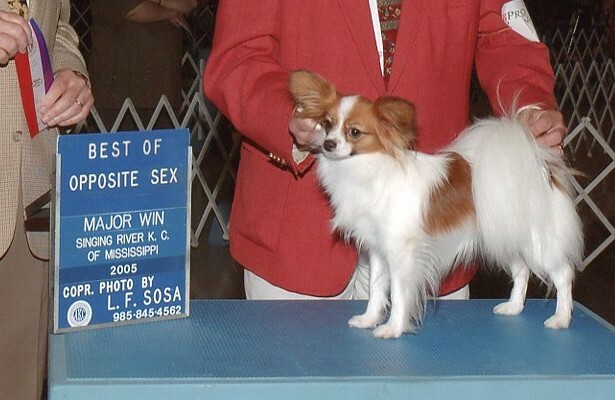 Coco wins her second major! 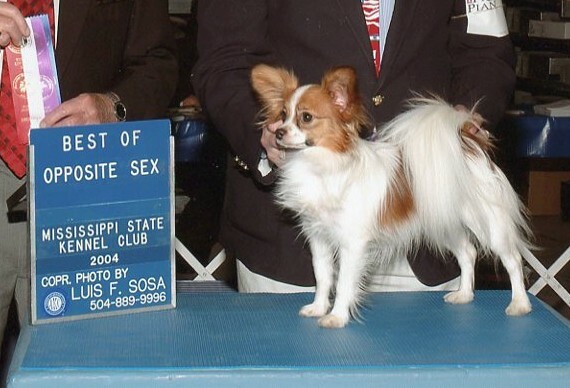 at the Mississippi Coast Kennel Club under AKC judge Mrs. Paula Hartinger. 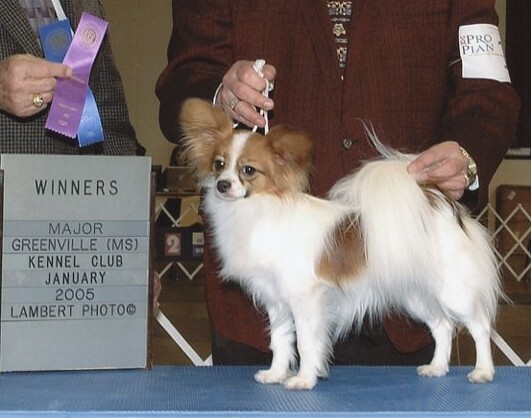 Coco wins her third major! 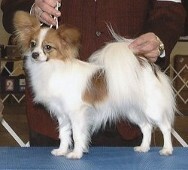 of Mississippi on Saturday, July 30, 2005, under AKC judge Mr. Roger Hartinger. 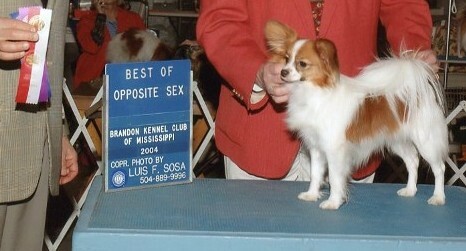 COCO IS A NEW CHAMPION! 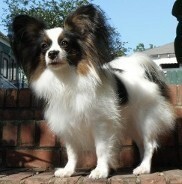 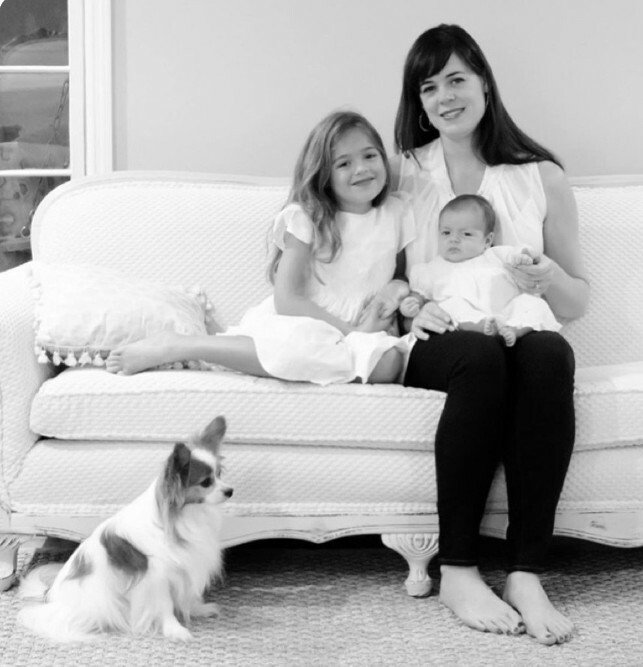 in Mobile, Alabama, on November 18, 2005.
on Sunday, June 18, 2006.
on Saturday, June 17 and Group One on June 18!